Uh-oh, those pesky Angry Birds will make things difficult. This could be one of the biggest, most incredible weeks in mobile gaming. 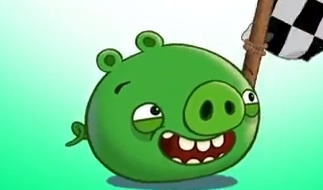 Not only do we have high-profile releases, but also some updates to play through, in particular, Road Hogs downloadable content for Rovio's Bad Piggies. The physics-based puzzle game will receive 30 brand-new levels to master, six time challenges, global leaderboards and cameos by the Angry Birds. Turns out, our feathered friends will attempt to get in the way, launching via slingshot to destroy whatever contraptions we've dreamed up.